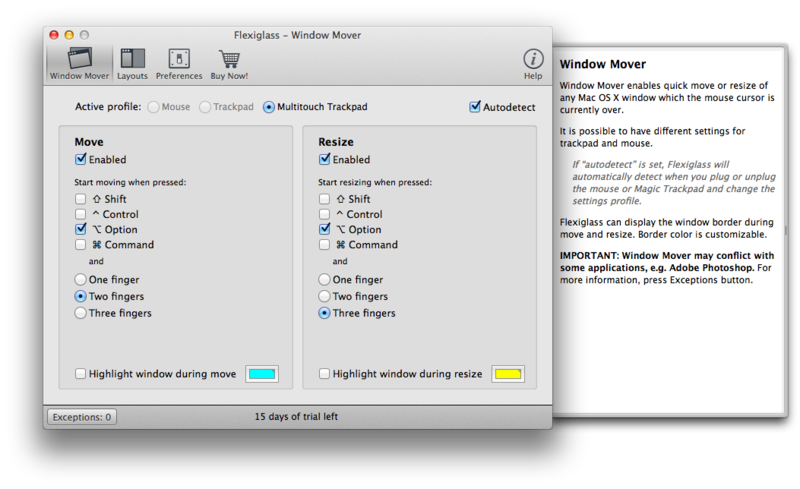 Flexiglass (Mac App Store link) is a neat idea for window resizing from Mac development company Nulana: it uses keyboard shortcuts and multitouch gestures to help you quickly move your windows from place to place without dragging and dropping. In addition, you can use several keyboard shortcuts to automatically resize windows to a certain portion of the screen—for instance, centering a window, or making it expand to fill the top half of the screen only. There are also assorted little preferences that offer remapping of certain window functions: double-clicking on a title bar to maximize the window; mapping the green Zoom button to maximize the window fully, and mapping the red Close button to actually quit the app. 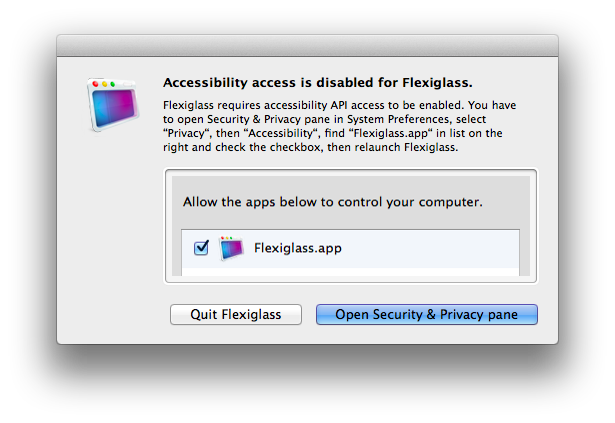 In practice, Flexiglass has a lot of promise, though its animations are occasionally jerky and I found it hard to remember all the keyboard shortcuts for various window positioning. I loved being able to hold down a single key and use a two-finger gesture to resize and or move a window, but it can be a little twitchy if you have your mouse speed set too high. Still, Flexiglass is an intriguing implementation of the Mac’s accessibility features, and worth trying if you’re interested in simpler window movement.